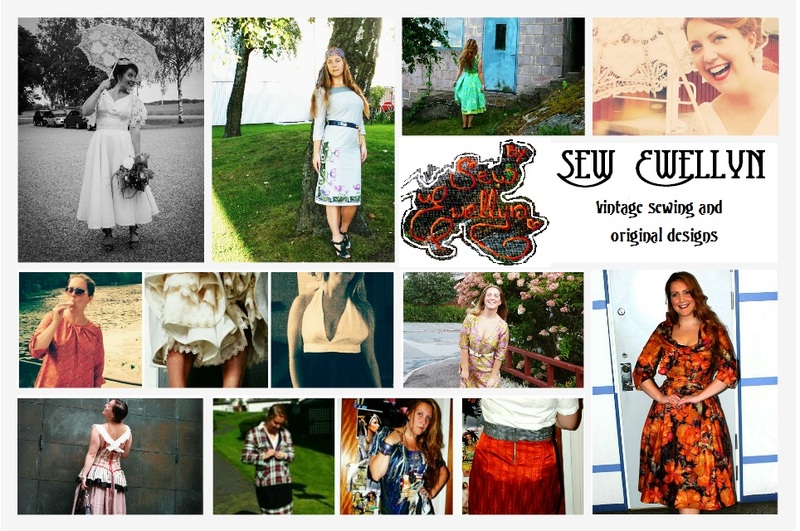 Sew Ewellyn: New project for spring! I just started working on this really cute classic Vogue Americana / Teal Traina dress. So happy I had fabric that looks a lot like the pattern cover dress! It's vintage heavy... something. It's not natural fibers anyway. Time has been hard to find lately but I hope to get better at sneaking in a half hour of sewing every now and then. With a little luck this dress will be finished in a week or two!